I love wandering through ethnic grocery stores. There are always fruits and vegetables I don’t recognize. I wonder what they taste like, how to cook them, where they are grown, etc. One of my favourite grocery stores is Bestwin, which I like to describe as a low-cost Asian and Indian grocer. Since I started cooking Japanese, it has been a great way to find affordable Asian ingredients. My goal is actually to try every wacky fruit, vegetable and herb there. The first one I will tackle is Nira, also known as Chinese chives or Garlic chives. It is in the same family as garlic and is similar to garlic more than chives. It is sold in big bundles but unfortunately doesn’t keep very long. It is common in Asian cooking (Chinese, Japanese and Korean) as well as fusion cuisine. Some other recipes with Nira, that I can’t wait to try, include Miso Soup with Nira, Spring Garlic Chive Soup, Yaki Gyoza (Japanese Dumplings), Japanese Iri Doufu (Scrambled Tofu with Nira), Scrambled Eggs with Garlic Chives, Pancakes with Garlic Chives and Ground Pork, Stir-fried Chinese Chives and Pork, Orecchiette with Fresh Mozzarella, Grape Tomatoes, and Garlic Chives, and Pan seared Halibut with Garlic Chives-Ginger-Coconut Sauce. 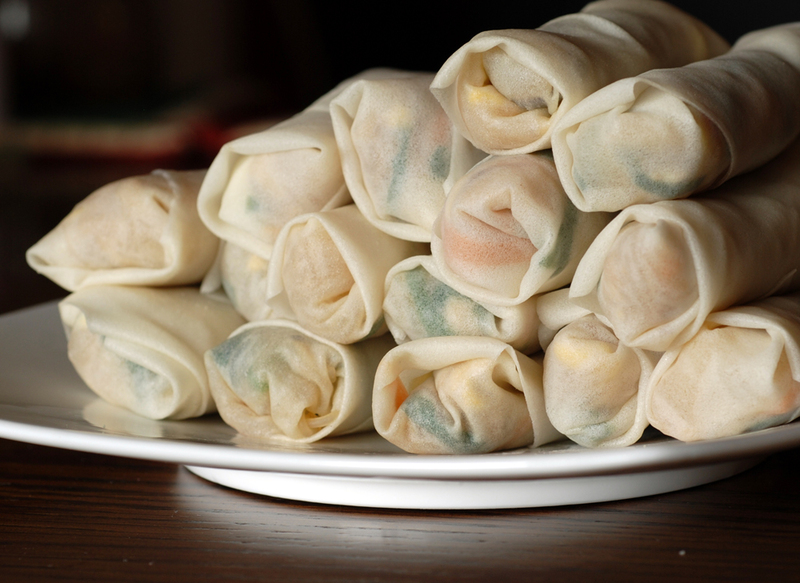 I recently got together with a friend who shared delicious Japanese spring rolls at a potluck. It is hard to get excited about spring rolls, but these were special. They were the best spring roll I had ever tasted. I needed to know what went inside those crispy layers, and thankfully she shared it with me. I am not sure what makes them so special, but I think the secret ingredients are the dried shiitake mushrooms, bamboo shoots and nira which balance out the flavours and bring crunch. Enjoy! As well, this week I am hosting my first blogging event! I have been a fairly regular contributor to Weekend Herb Blogging, and figured it was about time for me to participate as a host. So here I go with WHB #231! These Japanese spring rolls are my contribution this week. 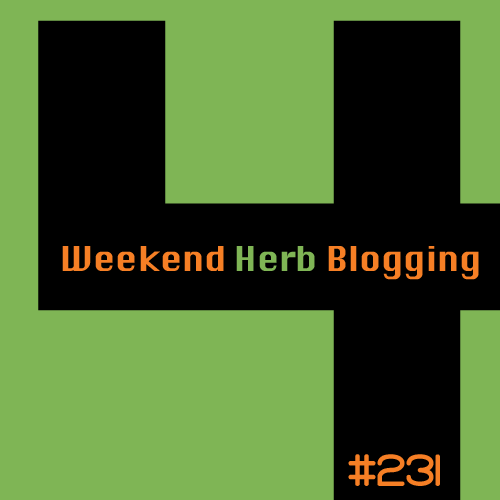 Weekend Herb Blogging, now hosted by Haalo, is all about sharing information and recipes about any herb, fruit, vegetable, nut, grain, seed, flower or plant. For complete rules, check them out here. Otherwise, send me your name, name of dish, post url, location and photo until Sunday, May 2 at 5pm EST at saveur11 AT yahoo DOT ca. 1. Over medium heat, heat a small amount of oil and scramble the eggs. Set aside. Add another small amount of oil to the pan and sweat the carrots. After a few minutes, add in the bamboo shoots and mushrooms and continue to sweat until the vegetables are soft. Add in nira and continue to cook a few more minutes. 2. Meanwhile, cook the vermicelli according to the package directions. Cut into 1-2 inch strips. 3. Once the vegetables are almost finished cooking, add in scrambled eggs and vermicelli with vegetables. Turn heat up to high. Add in sugar, soy sauce, sesame oil, and salt and pepper to taste. In a separate bowl, mix together water and cornstarch and pour over the vegetable filling. Mix well and wait until sauce thickens, about 1 minute. Remove from heat and add in bean sprouts. Cool mixture completely. 4. Now the fun begins: Stuffing the spring rolls! I found a good video on youtube here. The key is to make sure your rolls are tight and not to have any holes. As well, make sure to put the shinier side on the inside with the filling (you might have to look at an angle to determine which side is shinier). 5. Once all your rolls are wrapped, add around 1/2 inch of oil to coat the bottom of a fry pan. Heat oil to medium-high heat. 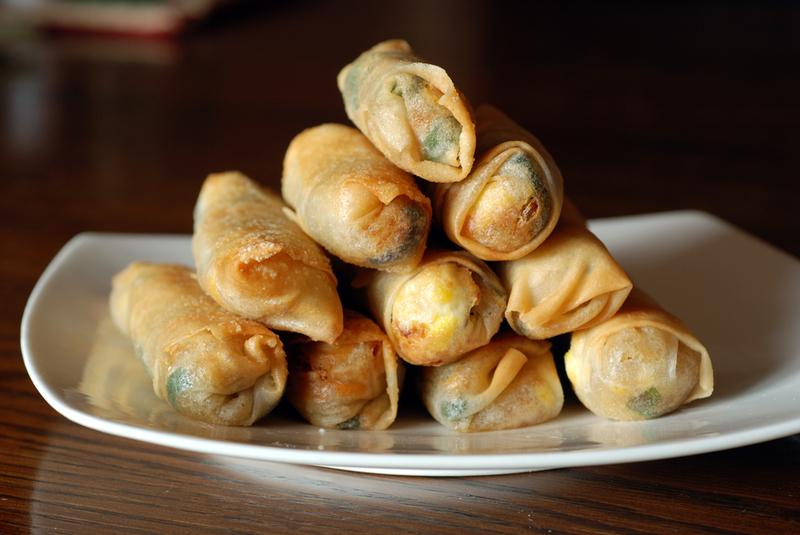 In batches, add one layer of spring rolls and fry until golden, approximately 2-3 minutes. Flip to other side and fry until the other side is golden-brown, another minute. 6. Mix equal amounts of soy sauce and rice vinegar (ie. 2 tbsp of each) to prepare your dipping sauce. 7. 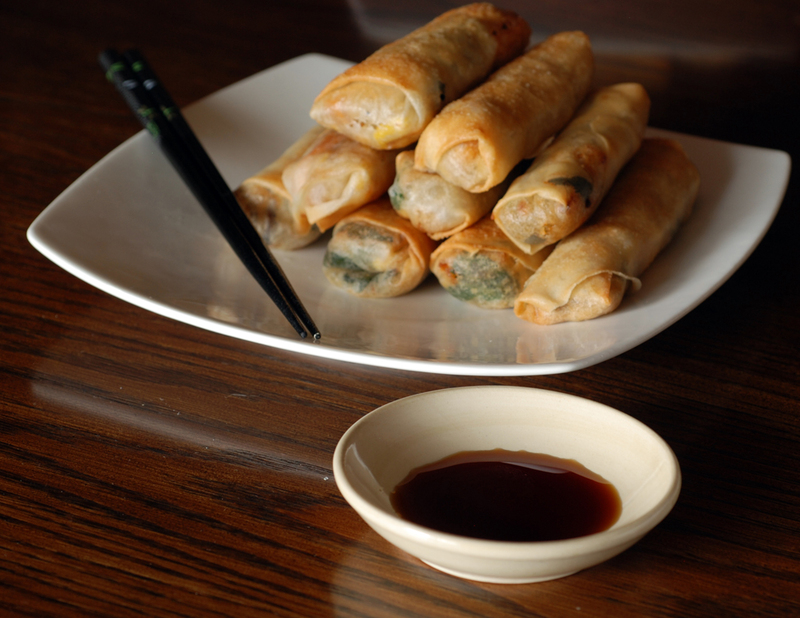 Serve warm spring rolls with dipping sauce. Enjoy! I bet nira is good when it’s chopped up with parathas, too! These look fantastic and your photos are stunning! Last week’s round-up is now posted…thanks again for your submission. Is the vemicelli rice or wheat? I think we used mung bean, but I’ll check to make sure!